Episcopalians try to love with the heart of Christ, think with the mind of Christ, and act as if we were the body of Christ. 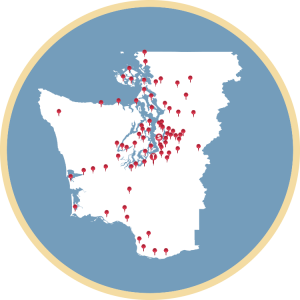 Who is the Episcopal Diocese of Olympia? The Rt. Rev. Gregory H. Rickel was elected bishop on May 12, 2007 and became the eighth Bishop of Olympia in September 2007. He embraces radical hospitality that welcomes all, no matter where they find themselves on their journey of faith. He envisions a church that is a safe and authentic community in which to explore God’s infinite goodness and grace as revealed in the life and continuing revelation of Jesus Christ. The Diocese of Olympia is one of 108 dioceses in the 2.4 million member Episcopal Church, and is one of 39 provinces in relationship originating with the 85 million member Anglican Communion, which spans 165 countries worldwide.